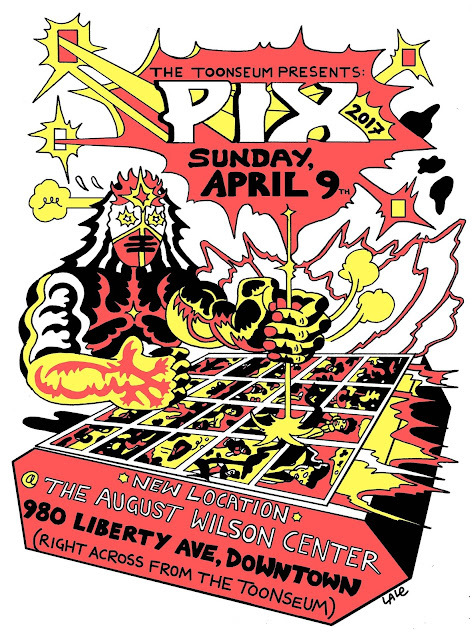 PIX: The Pittsburgh Indy Comix Expo: PIX 2017 Poster by Lale Westvind! PIX 2017 Poster by Lale Westvind! Feast your eyes on the first official PIX 2017 Poster, by PIX 2017 special guest, Lale Westvind. AND, you can download a print quality PDF of this poster HERE (and/or HERE for a black & white version).